Give your bedroom a sophisticated look and get a great night’s sleep with our soft and smooth, Black fitted sheet with satin strips. 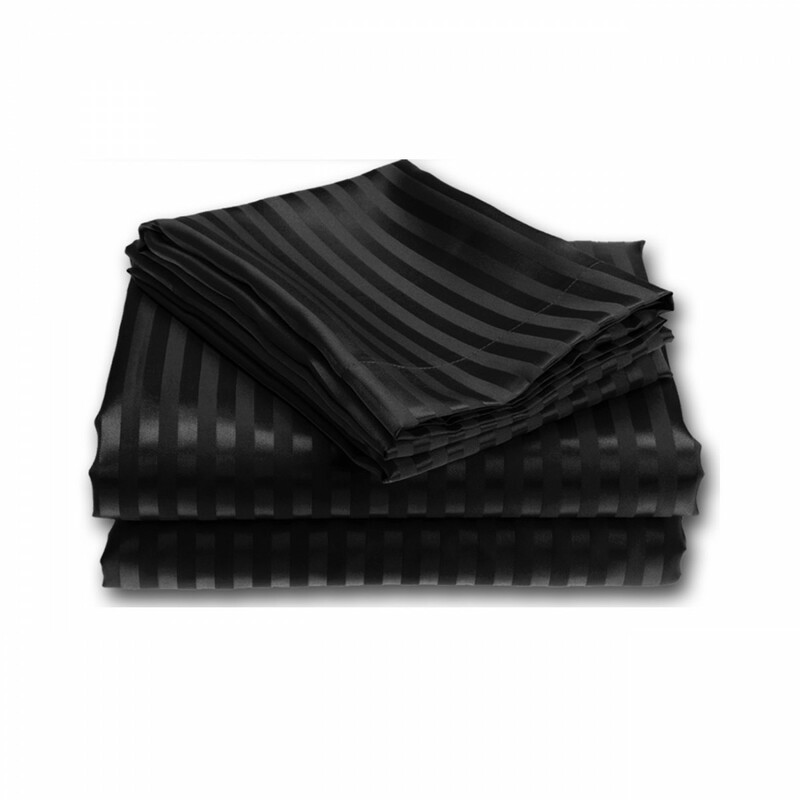 This lavish fitted sheet is made from 100% polyester material that is highly durable and comfy. You can machine wash it at 40 degree Celsius and is available in Single (90cm x 190cm), Double (135cm x 190cm), King (150cm x 200cm) and superking (180cm x 200cm) sizes.